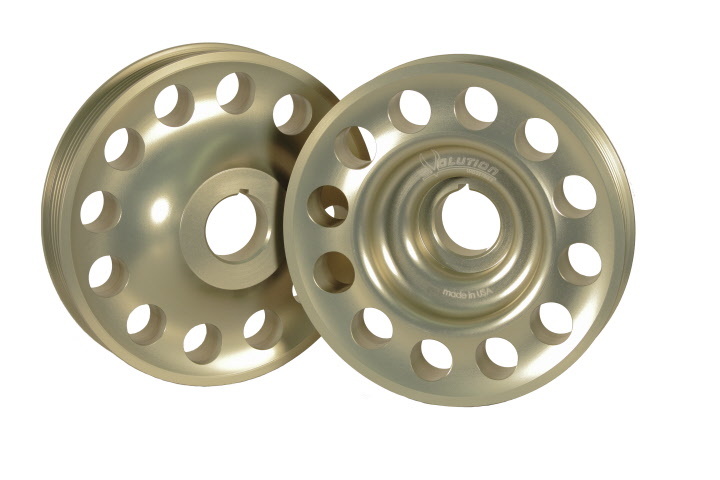 - Precision machined from superior T7075 aircraft grade aluminum. - Weighs 1.95 pounds versus 5.610 stock, saving you over 3 ½ pounds of rotational mass! - Hard coat anodized and laser engraved for added wear resistance and longevity. - Measures at 6.1 inches versus 6.6 inch stock..
- Proudly made right here in the U.S.
off the accessory pulley and run the risk of damaging it. Or you could just replace it with an Evolution Industries Single Race Pulley. 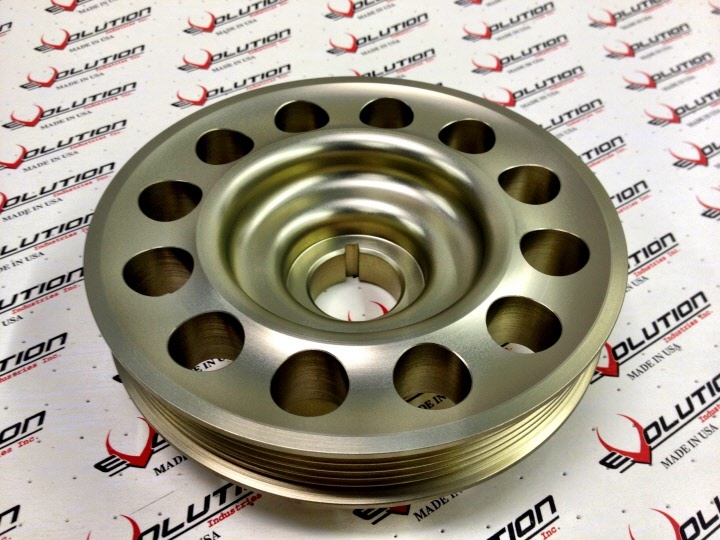 Evolution Industries proudly introduces its H22 Single Race Pulley. This pulley features a single drive, making it slimmer, lighter and helps clear the frame rail. Additionally it has a smaller outer diameter to clear most aftermarket traction bars. 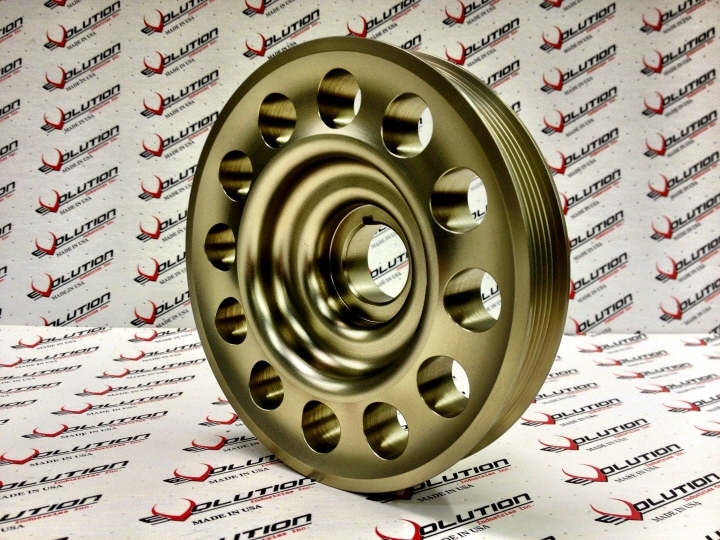 This Evolution crank pulley is designed to directly replace your original OEM pulley with a single drive. Will work with the factory alternator set up. The H2B Conversion Kit is perfect for drag racing and is designed specifically for converting your H or F series Honda block to run a B-series transmission. The B-series 5spd transmission gives you more flexibility since it comes in many different gearing options as opposed to just being standard on the H/F series models.